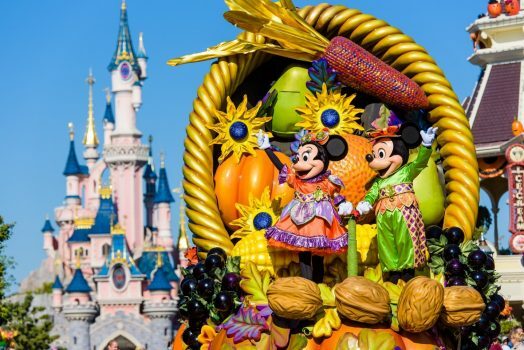 Halloween at Disneyland® Paris - Book now for a Spooktacular 2019! 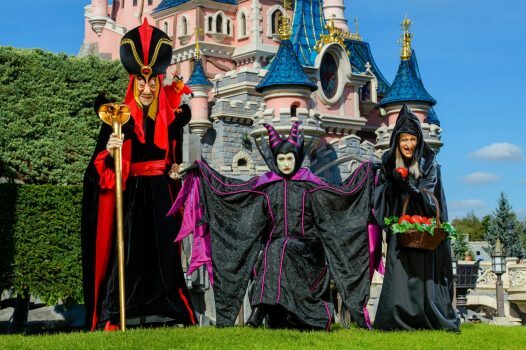 Experience Halloween at Disneyland® Paris with these Fang-Tastic 2019 prices! 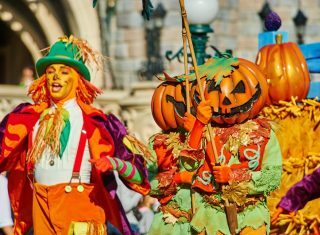 Halloween at Disneyland® Paris – A Spooktacular time to visit! Get ready for a ton of mischief! Bundles of screams! Heaps of hocus pocus! This Halloween as Disney Villains take the limelight! Book now for 3 nights stay at Disney’s Hotel Santa Fe with a 2-day Park Hopper ticket and visit the place where dreams (or nightmares) come true! With 2 days park access, you’ll have plenty of time to experience the shockingly good shows and eerie entertainment during Disney’s special spooktacular festivities! From special spooky character meet and greets such as Jack Skellington and a Devilish Donald Duck to a frightfully fun Halloween parade – you do not want to miss the Not-So-Scary Halloween fun at Disneyland® Paris in 2019! Travelling by yourself? Click here. Make your way to Disneyland® Paris and explore what your hotel has to offer or visit Disney’s entertainment district, Disney Village® for shopping, restaurants and shows. Note: To visit Disney Village® you do not need a park ticket. Take advantage of Extra Magic Time, where your group can access selected areas and rides in the Disneyland® Park up to 2 hours before regular park opening. Experience big thrills on Star Wars™ Hyperspace Mountain and Indiana Jones™ and the Temple of Peril, or enjoy some family fun on Mad Hatter’s Teacups and Buzz Lightyear Laser Blast. Sneak over to Royal Castle Stage for an extended spooky show and some frightfully fun encounters with the likes of Captain Hook, Jafar and the Evil Queen. Then creep round to Maleficent’s bewitching briar bush at Castle Courtyard to meet the Mistress of All Evil herself. Click here to find out more about Disneyland® Park. 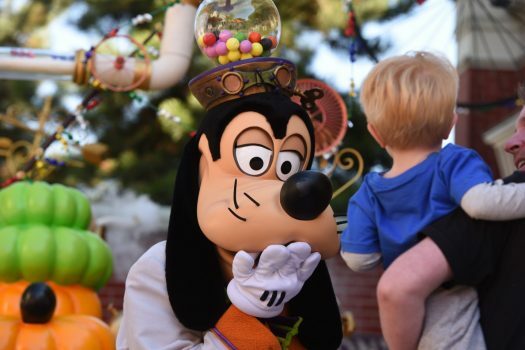 **Disney’s Halloween Party requires an additional ticket to be purchased. See the world of movies and television come alive in the Walt Disney Studios® Park. Must-do attractions include The Twilight Zone Tower of Terror™ and Crush’s Coaster®. Make sure to check out Disneyland® Paris’ newest ride – Ratatouille: The Adventure, a ride through the sights, sounds and smells of the sewers of Paris and Gusteau’s kitchen. This 4D thrill for all the senses is not to be missed! Click here to find out more about Walt Disney Studios® Park. It’s time to say Au Revoir to Disneyland® Paris and travel back home to the UK. Prices valid for groups with a minimum of 12 paying passengers. All prices are per person. Child age is between 3 -11 years old. Prices are subject to package & room availability and are not guaranteed. Prices based on exchange rate at time of publication (£1.00 = €1.112) and are always subject to change due to currency fluctuations. Prices do not include coach hire, any transport or travel insurance. Shows, parades and events are subject to change, postponement or cancellation without prior notice, particularly in the event of bad weather. Picture is for illustrative purposes only. ©Disney.